The same casual conversation keeps popping up, “So, what kind of doctor are you?”, they ask with drink in hand, expecting to reap the rewards of knowledge gained from Casualty, to wallow sympathetically in the long hours doctors work and to perpetuate doctoring lore. A fellow doctor at your side reels in a little, scoping out other conversational opportunities, knowing the answer you are about to give. “A palliative care doctor” I say, observing the face slump as they recall their Gran die. The thought process is often predictable: “is that not the most miserable job in the world?” The job is so often tainted by the stereotype that it is a monotonous hand-holding, sickly, nicey-nice specialty, personified by wool and crochet. My registrar interview question ‘why do you want to go into palliative care?’ I had answered boringly. I outlined how perfect I was for this job, I was born and raised like a Spartan to be a palliative care physician with my entire being – sleep, diet and life focusing on this one true life-fulfilling aim. I raised my arms in fists to thunderous rapture of the greatness of my person specification. Needless to say, it took me four attempts to get a post. I wish I had instead tried to respond to the connotations noted above, focusing on what I realised was important. All of medicine is palliative care, really – you are not better until you feel better, but what if you’re feeling rotten all the time? Life is about living, drinking, dancing, devotion, family and football – this job is about giving that quality to patients. 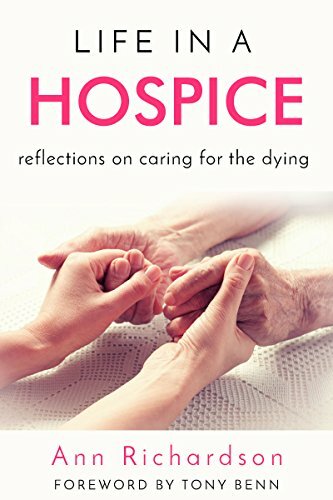 It is anything but miserable and, I kid you not, the hospice is one of the most welcoming, charming, blissful and happy places I have ever been privy to. Is it wishy-washy woollen crochet? Nothing de-stresses me more than grotesque unadulterated violence on the football pitch, and there would be a niche for some equivalent anger management strategy in the hospice (I’m trying to figure out how). But sometimes folk need some fluff. Complementary therapies and the like, although they have no quantifiably measurable outcomes, subjectively calm patients and their family in what is arguably the most stressful time of their life. There isn’t much high quality evidence behind most of it, but rather an old true physician ‘art’ in getting subtle decisions right. The cleverness is figuring out the big picture, what is important to each person and then guiding them through their own – often foggy and treacherous – waters. Is it for everyone? Well of course not. You are dealing with death, which can create a dolorous reflective environment and this can be hard to get your head around at times. However, being close to an aspect of life so often ignored can be liberating in a weird way. Life is precious and it seems all the more so when you see it depart. There are no overt heroics in palliative care, rarely quick drama, no adrenaline, which many doctors would miss. But what it does do better than all other specialties is offer the opportunity to not only hold the hand but walk the patient and family through the most difficult journey of their life. Nice to see this Matt, keep writing !